Average overall ratings - Based on 224 reviews. In the centre of the La Marina Baixa region, is the popular Spanish resort of Benidorm, one of the main tourist destinations along the Costa Blanca. Its excellent beaches, wide variety of accommodation, restaurants and many recreational activities means it’s a hit with tourists from all over Spain and Northern Europe. Benidorm offers endless possibilities: from taking a walk along the promenade, swimming in the crystal clear waters, water sports, a boat excursion to the island of Tabarca, or a wander through Benidorm’s historic quarter, perched on a promontory, the old town is in great contrast to the wide avenues of the main tourist town. 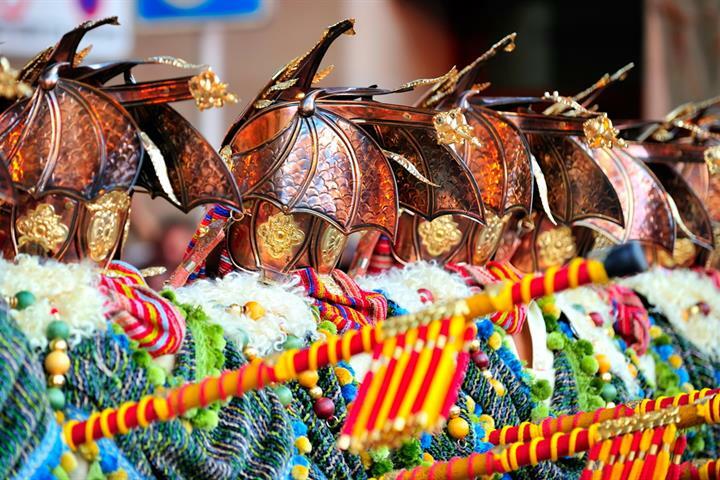 Then there are the local cultural festivals, beautiful cuisine and great shopping; indeed it’s one of the Costa Blanca’s biggest tourist centres. 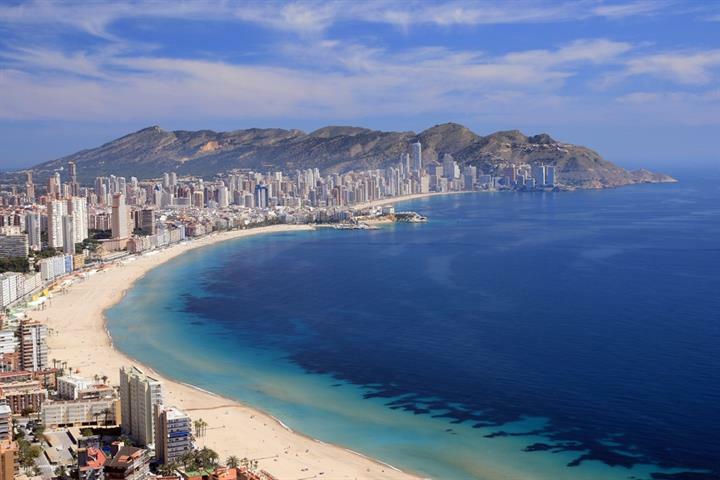 Complete with its fine-sand beaches, crystal waters, privileged climate and great infrastructure have all gone to give Benidorm have granted this region —also equipped with a great infrastructure of high-quality services— its well-deserved fame. Benidorm is what you want it to be: full of fun, with a fantastic nightlife, but is also affords peace and tranquillity with its charming gardens and secluded coves. Truly a place with something for everyone, it’s no wonder it's so popular. There are numerous championship courses in and around Benidorm offering a good challenge to the serious and casual golfer alike. Without doubt, the beaches are one of Benidorm’s biggest attractions. A five-kilometre stretch of golden sand coastline, intermingled with secluded coves where one can enjoy a refreshing swim, as well as engage in water sports, like scuba diving, water skiing, windsurfing, sailing, and more. Located to the north of the harbour, Levante beach is one of the most beautiful in the city. As a result of its urban location, it has easy access to many services, as well as the two kilometres of golden, fine sands. These emblematic sands are bordered by a busy promenade, filled with terraces and restaurants, which are very lively at night. Between these two famous Benidorm beaches, is the Mal Pas cove; a tranquil cove of fine sands, close to the historic quarter and the harbour. In addition, Ti Ximo and La Almadrava emerge at the northern end of Benidorm, where the coast becomes rough and inaccessible. Removed from the urban centre, these hidden natural coves allow the visitor to escape from the bustle of the city and enjoy scuba-diving around the magnificent, rocky seabed. Erected in the 18th century, its bluish domes rise among an intricate network of narrow streets and alleyways, filled with picturesque little corners. The peaks of the Canfali hills lead to the Balcony of the Mediterranean, a splendid viewpoint that presents a gorgeous panoramic view of the sea. On either side of the historic quarter lay wide avenues and commercial streets that make up the rather more modern Benidorm. The city, devoted to the tourist industry, offers a myriad of services including hotels, restaurants, large commercial areas, discos and terraces. Benidorm’s recreational possibilities are endless. From taking a walk on the promenade or visiting the nearby park of L’Aigüera, to an exciting day in the Mediterranean Theme Park Terra Mítica. The city also has a number of sporting centres, including a sailing school, and several scuba-diving schools. Boat excursions to the little island of Benidorm – located in middle of the inlet – depart from the harbour. 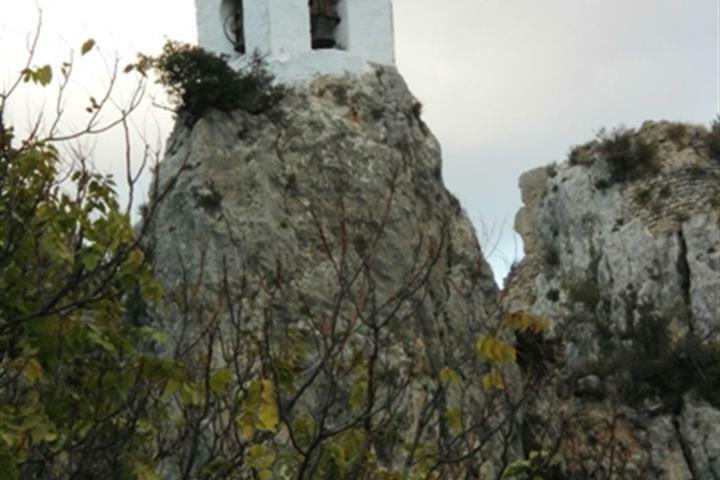 Legend has it that the island is a piece of rock from nearby Mount Campana that brave Roland severed with his sword during the expeditions of Charlemagne. The diverse seabed makes it a scuba-diving paradise. Seafood and rice dishes are the base of the local gastronomy. Paella is one of the emblematic dishes, as are shellfish, grilled or boiled and fish, fried, stewed, or in soup. Garlic and olive oil are the main ingredients of ali-oli sauce, which accompanies many dishes and for dessert lovers, try the almond cake, turrón or home-made ice cream. Wines, with Designation of Origin - Alicante (the prestigious seal of quality and origin given in Spain to select wines and products) should definitely be sampled. Misteleta (a sweet wine); and horchata (a drink made from tiger nuts), are both typical of the region. 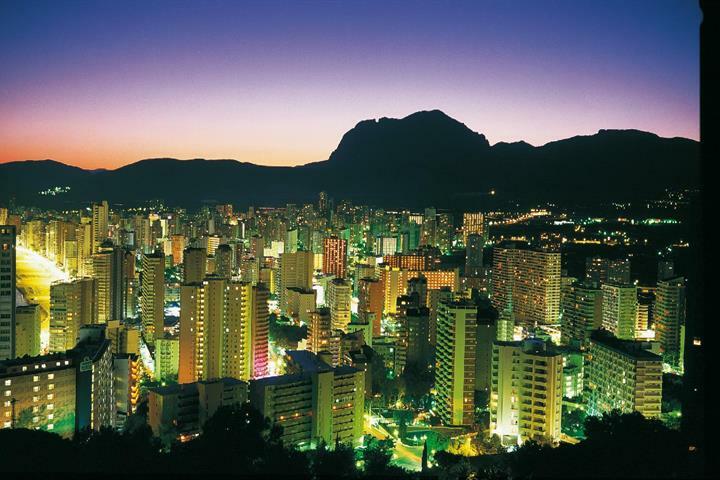 Benidorm is a happy and festive town; the local holidays honour the Virgin of Sufragio and Saint James the Apostle. The celebrations begin on the second Sunday of November and offer a varied programme, including floats, theatre performances, and fireworks. A few days later, the Fiesta de la Carxofa – a very traditional affair – takes place in the historic quarter. The outskirts of Benidorm are of great natural beauty. To the north, the terrain becomes rough, with sierras and cliffs all the way to the sea. In this setting lay the towns of L’Alfàs del Pi, and Altea. In addition, next to the Peñón de Ifach Nature Reserve is the town of Calpe, a harmonious place that has managed to combine the conservation of its monumental heritage with its increasing tourism market. To the south of Benidorm we find the town of Villajoyosa, the capital of Marina Baja. Crossing the Sierra Aitana, the northern interior provides an interesting journey through Cocentaina, an important town in medieval history, and Alcoy, a place made famous for its Muslim and Christian festivals. For this reason it was declared a place of ‘International Touristic Interest’. Benidorm benefits from a temperate climate all year round. Cooled by sea breezes from excessive heat in the summer, and remaining mild throughout the winter. Looking for a beach holiday resort with full amenities and a lively atmosphere? 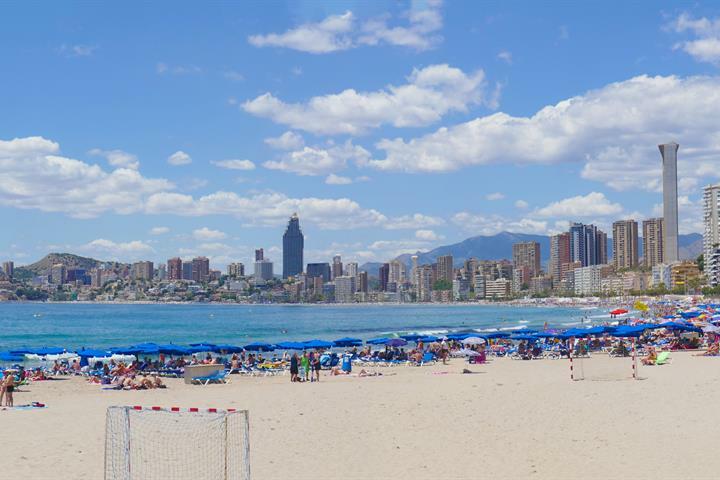 Benidorm could be your place; discover its beaches with our guide. Benidorm's nightlife never stops with tribute bands, karaoke kings and queens, cabaret, a casino, bars, drag shows and gay bars creating a stir. Walk around Benidorm's iconic Balcon, Levante and Poniente beaches, old town for tapas and up the Sierra Helada to the iconic Benidorm Cross. Benidorm is a fabulous holiday resort for all the family with fabulous beaches, theme parks, restaurants, boat trips and train rides to enjoy. Float around a reservoir, look down from castle walls, marvel at a bell tower perched on a rock and visit tiny museums in Guadalest. Love this place, there is something for everyone. There was lots of bar and restaurant close by and a big supermarket close to. Goid value.